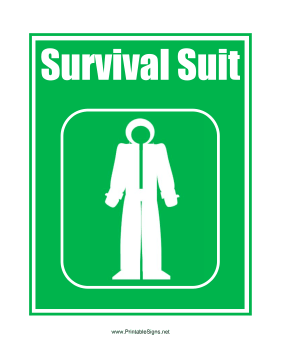 The survival suit depicted in this green emergency sign has a hood, gloves and covered feet. It can be used to keep someone safe and protected. The sign can be printed off and displayed near the body suits on a boat.